SIMPLICTY. I’ve been eating/living within a paleo-like lifestyle for the past 5 1/2 years. As I peruse around the blogs, bookstores, and social media it seems as though the “paleo world” is becoming pretty complicated. With that in mind, I’d like to take a moment to remind everyone that you don’t have to learn how to make “Paleo Pot Pie” or “Paleo Lasagna” to eat quality meals or to be truly healthy person. Don’t be afraid to make simple meals. Sometimes simple is better, not only because of nutritional quality, but also because of accessibility. If you feel too intimidated to try paleo recipes because the ingredient lists are long and you wouldn’t describe yourself as a “gourmet chef”, then making healthy food choices may seem like the biggest challenge on earth. When I started paleo, I ate scrambled eggs and salsa for breakfast. Grilled chicken drumsticks and grilled bell peppers for dinner. I put coconut milk in my coffee. Snack was an apple with almond butter. Dessert was berries and some dark chocolate. If you can make simple meals that are healthy, nutrient dense, and convenient, then you are doing it right! heat oil in a smaller skillet over medium-high heat. once oil is hot, pour eggs into pan and season with salt and pepper. Once one side is set, using a spatula (i LOVE using fish spatulas for eggs) flip over. 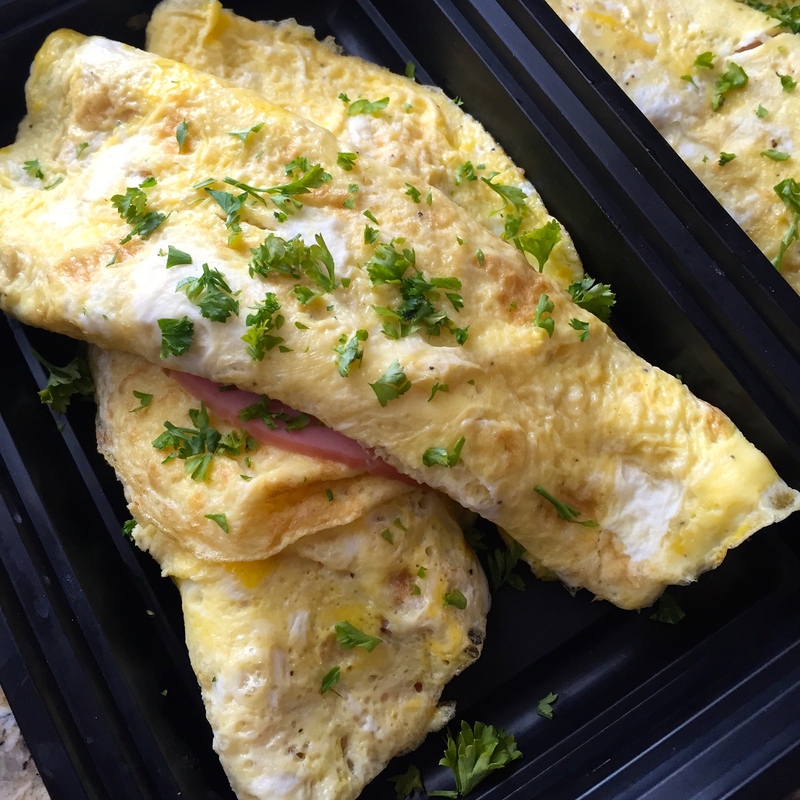 Lay ham down on the cooked side and then fold omelette to serve! Garnish with parsley.